Rising temperatures and more extreme, unpredictable climate events are making sustainable livelihoods tough for many people living in semi-arid regions of the world. To adapt, local communities, and especially farmers, use different strategies and responses. In northern Ghana farmers are increasingly suffering from delays in the onset of the annual rains. In an attempt to adapt, they are experimenting with different types of crop and water-storage systems. In the Moyar Bhavani basin in India’s southernmost state of Tamil Nadu, unpredictable weather patterns mean that traditional rain calendars, used to decide sowing and harvesting times, are no longer accurate. And as water scarcity becomes a growing problem, farmers are turning to irrigation crops. These require expensive inputs and can push marginalised groups further into poverty and debt. Water and pasture shortages in Kenya’s semi-arid regions, exacerbated by droughts, have driven pastoralist women into new types of livelihoods. These include petty trade in a number of products like milk, vegetables and beans, as well as small-scale agriculture. Men, on the other hand, pushed by conflicts with other groups over the use of land, often end up pursuing semi-legal activities such as the drugs or arms trades, according to our unpublished research. Building on local knowledge of climate vulnerability and responses: To start with, it helps to look at why farmers and pastoralists are vulnerable to climate impacts and what they are doing in response. Communities, households and individuals have a wealth of knowledge that can be shared about the practices and ways in which they respond. Adaptation initiatives that build on local knowledge and integrate scientific findings have a higher chance of leading to sustained and effective adaptation. Including climate information: Climate information that is tailored to users’ needs can help vulnerable farmers make better decisions. But this needs to be transparent, high quality and context specific, and must deal with current and expected climate trends and their impact. This kind of information is also needed by people who work with these vulnerable groups, such as extension officers, local and national governments, and NGO practitioners. Collaborative learning and decision-making: If planning and decisions allow for mutual learning between scientists, decision-makers and local communities, all groups gain a deeper understanding and appreciation of the limits and uncertainties about climate information, and of the types of adaptation responses that might succeed. Co-production of knowledge also supports the use of climate information in the local context and cooperative development of possible solutions. What makes different groups of people vulnerable, not only to climate risks but to other socioeconomic factors? How serious are the risks and when will they occur? Are there hidden opportunities? Will it be hotter or colder, wetter or drier? Will there be more extreme events? Will these changes further exacerbate the risks and vulnerabilities identified above? What responses could be developed? Which are the most urgent, given the medium and high risks? For which groups of people? Are the proposed options robust in the face of uncertainty? Are they politically and socially acceptable, and/or financially feasible? This approach has three advantages. It ensures users are engaged in assessing vulnerability and risk. It improves the understanding of where and how historical and future climate information plays a part. And it contributes to the understanding of how climate information feeds into adaptation options. 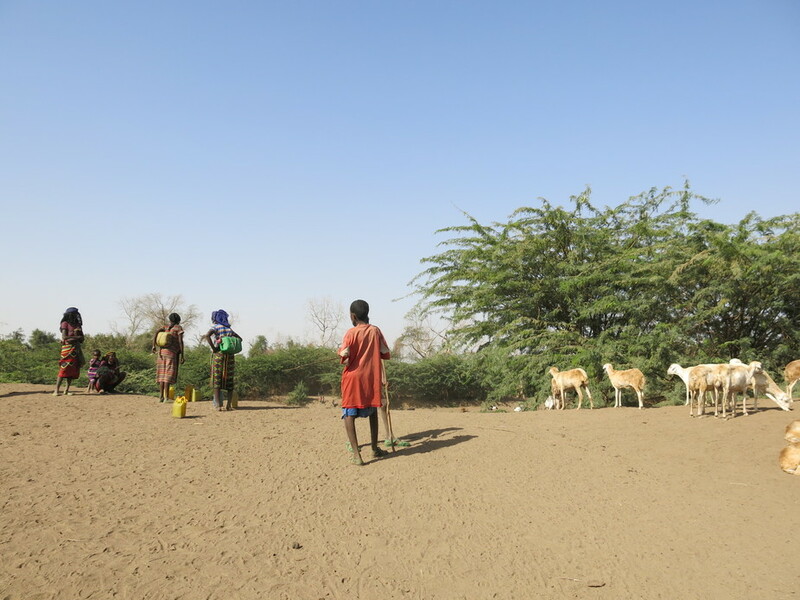 In the Adaptation at Scale in Semi-Arid Regions project, participatory assessments have been carried out to identify the main hazards and issues affecting semi-arid communities. In these multi-stakeholder exercises, possible response strategies have been explored, from the local and regional level. In the process, people have felt empowered and able to play a role in adaptation. In parallel, researchers are conducting analyses of climate trends and future projections across a number of areas in Africa and India. They are also increasing their understanding of the governance factors that enable or curtail adaptation actions, and their impact on different social groups. In the second phase of the project, these and other findings will be used to develop scenarios of possible futures. In these, adaptation will take a range of different forms, from incremental to transformative. As part of this process, participants will develop possible adaptation strategies and responses, and will hopefully feel empowered to act. The aim is to develop adaptation that is more equitable, widespread and sustained. This will be crucial to help mitigate the possibility of maladaptation and ensure that people’s vulnerability to climate change is decreased. Ziervogel​, G., Kloppers, K. and Scodanibbio, L. (2016) Lessons from semi-arid regions on how to adapt to climate change. The Conversation. The Adaptation Learning Programme for Africa increases the capacity of vulnerable households in sub-Saharan Africa to adapt to increasing and uncertain climate change and climate variability. This guide highlights research and learning for climate change hotspots, with annotations from ASSAR academics to guide you to the most relevant and useful information for your work.